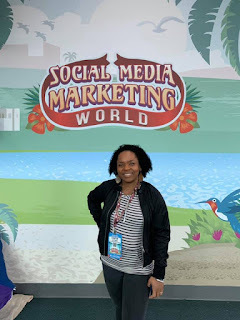 Last week I attended Social Media Marketing World 2019. I have been following its parent organization, Social Media Examiner, for years. The conference truly is the world's leading conference in digital marketing education. What made this conference unique is the quality of the content I received. One thing I did not expect, was the happy atmosphere of the conference. The staff made this large conference feel like a tight community. There were around 5,000 participants from all over the world. I met people from from Israel to Italy and beyond. Everyone was interested in taking their social media strategies to the next level. Experts taught us the latest trends and techniques in marketing with Facebook, Instagram, Messenger bots, live video, social strategy, content marketing, analytics, video creation, YouTube for business, LinkedIn, Twitter, Pinterest, Snapchat and more. The information was accurate, applicable and up to date. It was also informed by research, which really matters to me. There were a lot of opportunities to meet other people and hear about the work they do. The connections with other professionals was amazing. I learned that I am up-to-date with the latest social media marketing information. I know all the crucial information and I already started applying that knowledge to my digital strategies. Before attending the conference, I had the same questions as everyone else who can't make it. The question is: "what was the big takeaway?" The answer for 2019 is engage! I'm also thankful about the road that lead me to where I am. I have been blogging here at SimplyCintia.com since 2003. I know, I'm not the oldest blogger out there but I can say I have been consistent. I offered my first social media for business workshop 9 years ago and I have continued to help businesses and non-profits to reach their social media goals. I understand that business owners are occupied running a business so I help them save their precious time with strategies and advice that make a difference. I'm thankful for my training in computer science communication. I specialize in making complex information simple. For the past year, I have been writing about the latest computer science research. I write in ways that connect and inspire. 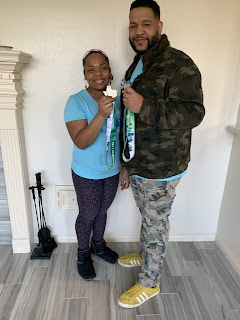 I'm in constant connection with people who work and do research for the major tech companies and startups in the U.S. I am thankful because this niche is rare and precious. I would love to help you reach your social media goals. Whether you need advice or want help reaching your business goals, contact me and I will be glad to help you move from frustration with social media to assurance of effectiveness. Click here to work with me.